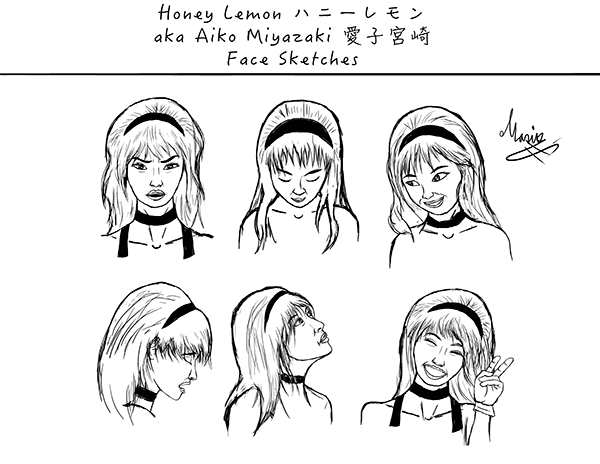 Minor redesigning of Marvel Comic’s version of Honey Lemon from Big Hero 6. 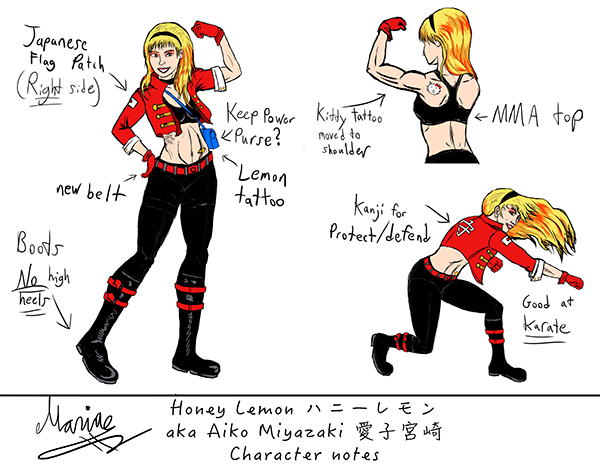 Subtle changed like taking away the high heels, giving her a red belt for clarity, more asian looking face, smaller breast, making her jacket more of a military style, a Japan flag on her jacket, added a kanji on the back of her jacket, moved her Cat tattoo from her lover back to her shoulder, covering her chest more with a sport bra, and making her overall more muscular. 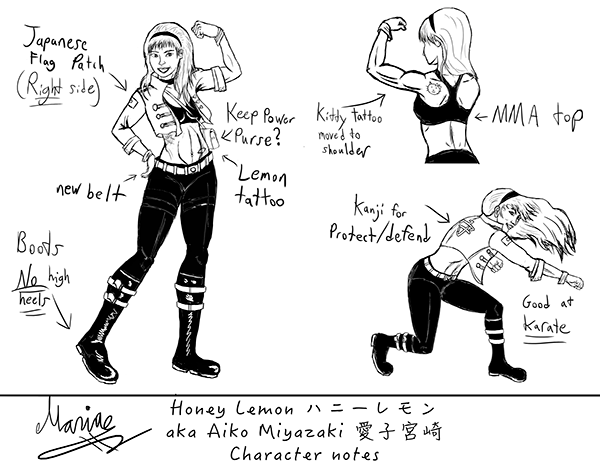 Still wondering if I should keep her purse from her Marvel verions since it she can basically take anything she wanted out of there, which is a bit Deux for story purposes.